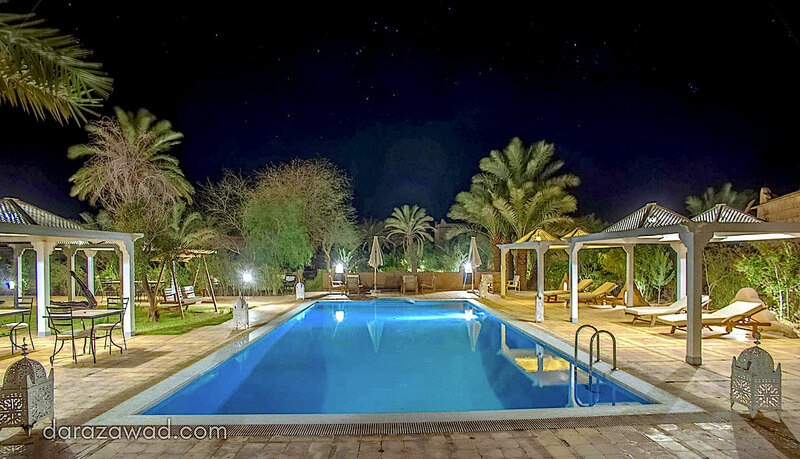 A true delight, Dar Azazawd’s heated pool is the heart of the hotel. Everyone comes here to recharge their batteries at the end of the day. 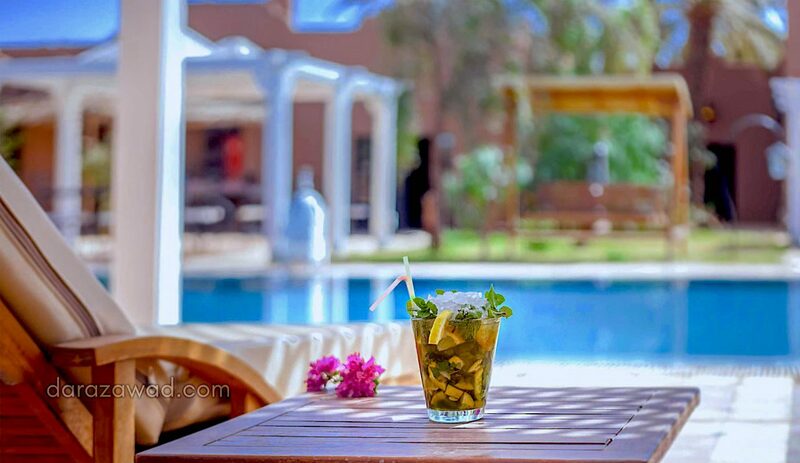 Anytime during the day, come and have a swim to unwind or simply refresh yourself. Young people can paddle in the pool, too. The 6×12 m (19.7×39.35 ft) / 72 sqm (775 sqft) heated pool will help you enjoy the benefits of having water here. This is a must for your well-being in a desert area. The 300 sqm (3,230 sqft) large terrace around the heated pool can also be enjoyed at night for an aperitif or a candlelight dinner by the fireplace. Anytime during the day you can have some fruit or a snack by the pool.